For the record, my 63-year-old father is probably more physically fit than me (I’m 35…I think…). He cycles about 100 miles a week, belongs to a gym, and eats like a nutritionist. Don’t get me wrong – I’m not jealous – far from it. My dad’s physical prowess has brought us much fortune. For the past few years, I’ve been lucky enough to drag him with me on some amazing adventure travel experiences all over the world. 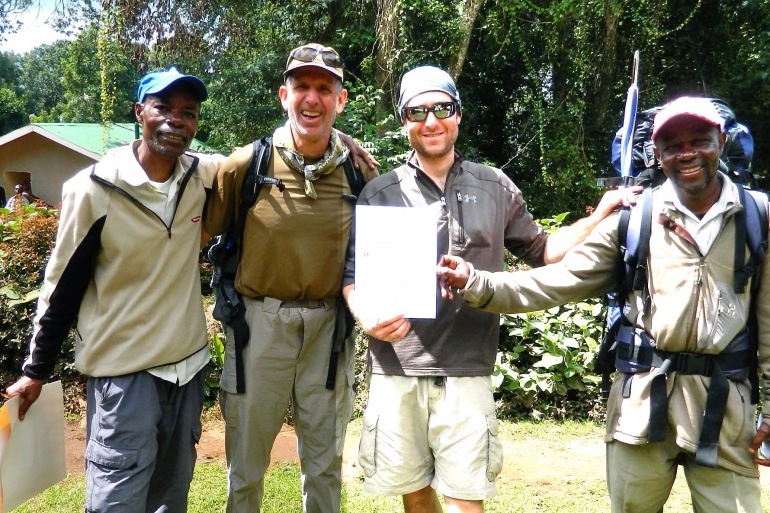 It all started back in 2006 when my dad and I had the crazy idea to see the world’s highest mountain – Mt. Everest. Not being professional mountaineers, nor having a death wish, we elected not to climb to the top. However, we did some research and decided that trekking to base camp, at over 17,000 feet of elevation, was well within our physical reach. So began the training, which combined cardio at the gym, running outdoors, and weight training – especially lower body and strengthening the all-important ‘core’– to prepare for the three weeks of trekking challenging terrain in Nepal. 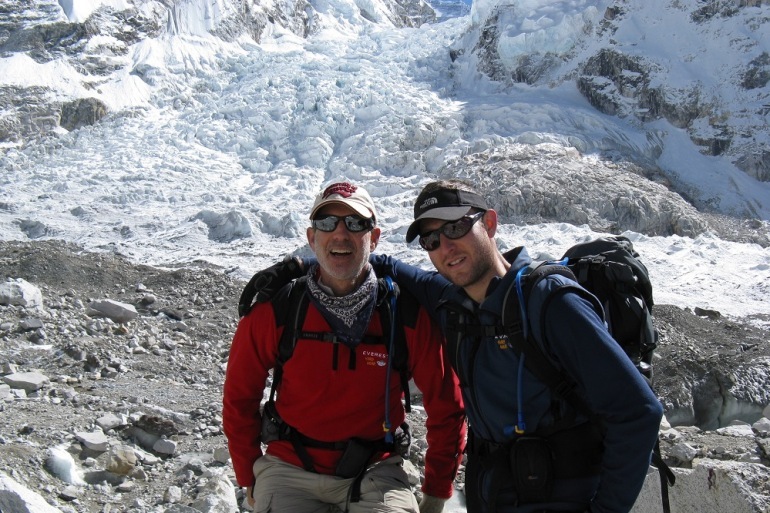 We successfully reached base camp in November of 2007 and it stands as one of the most memorable experiences of my life. There’s something about achieving a goal with a loved one that can’t be put into words. Since that trip to the Himalayas, it’s safe that my dad caught the adventure travel bug. So this Father’s Day, I encourage you to create lifelong memories with your dad or grandfather. And no, you don’t need to climb a mountain. Simply taking dad to his favorite restaurant, playing a round of golf, or cracking open his favorite bottle of scotch will create bonding opportunities. Of course if you can sneak in a trip somewhere, all the better! Now that I’m a dad myself, I can’t wait to show my son this great big world. Maybe one day, he’ll be the one dragging me to the top of the mountain.